As opposed to the last woman we studied in BSF’s People of the Promised Land Part 1 study (Abigail), we now turn to Bathsheba — in effect the opposite of Abigail. We don’t get any sense of sacrifice or honor here. 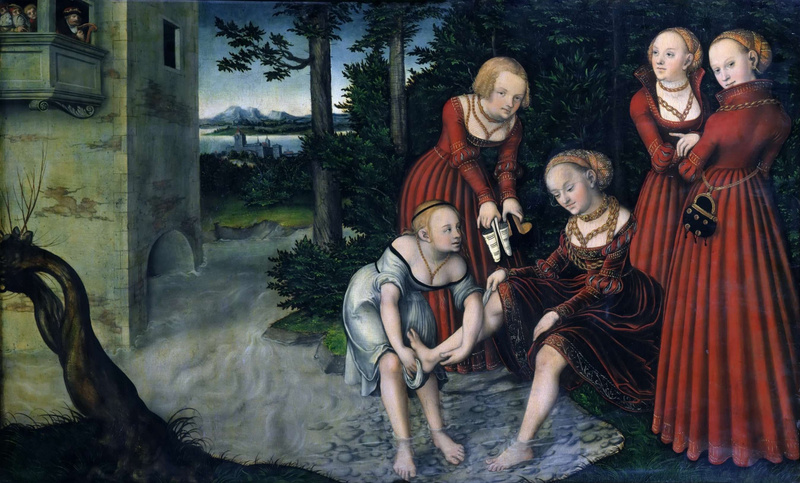 It’s easy to feel sympathy for Bathsheba (daughter of abundance). She was innocently bathing on the rooftop in days where there were no bathrooms and the houses were close together. She was beautiful. She was summoned by the king who wanted to sleep with her. Had she refused, there could have been severe penalties, even death, in ancient times. However, a person who knowingly does wrong is responsible. She knew she committed adultery, and she suffered because of it: she lost her husband, her child, and her virtue. Bathsheba disappears from the Bible after the birth of Solomon and only reappears after David dies, and Solomon takes the throne. Bathsheba is know as an adulteress and for good reason — her complicity in the act and her failure to resist a sinful situation made David’s sin possible. We are all called to not make others stumble in our walk with Christ. When you’re pressured to just follow the crowd, what do you do?